The European Commission on Monday imposed a 27.87-million-euro fine for the state-run company Lietuvos Geležinkeliai (Lithuanian Railways) for restricting competition by dismantling a railway stretch between Mazeikiai and the Latvian town of Renge in 2008. "It is unacceptable and unprecedented that a company dismantles a public rail infrastructure to protect itself from competition," EU Competition Commissioner Margrethe Vestager said. The commission found that dismantled rails forced the Polish concern Orlen to transport freight to Latvia on a much longer route. According to the finding, Lietuvos Geležinkeliai failed to prove that the railways had to be dismantled for objective reasons. Lithuania can appeal against the fine with the Luxembourg-based Court of Justice of the European Union (EU). Furthermore, payment of the fine would not eliminate the duty for Lithuania to remove the breach, while affected countries could file further claims. Lithuania's officials maintain that the railway line had been dismantled for security reasons. At the time, the government was headed by Gediminas Kirkilas, Algirdas Butkevičius served as transport and communications minister, while Stasys Dailydka was the CEO of Lietuvos Geležinkeliai. LG said it would analyze the Monday's EC decision in detail before deciding on further steps. "We will seek to settle this inherited issue, as well as the other problems that keep emerging form the past, in the most optimum way that would cause the smallest damage for Lietuvos Gelezinkeliai. It is still early to specify the path we will take, we first want to look into the EC argumentation – we have time for this," Bartuska said in a press release. Earlier on Monday, EC imposed a 27.87-million-euro fine for LG for restricting competition by dismantling a railway stretch between Mazeikiai and the Latvian town of Renge in 2008. LG said the Renge stretch was one of the alternative railway routes to Latvia, however, not the only route. According to the company, it was dismantled due to its extremely poor condition and lack of safety, however, the possibility of railway communication to Latvia remained. Back when the Renge line was still in use in 2007, the volume of oil products delivered from Lithuania to Latvia was 675,000 tons. After the Renge stretch was no longer available, the volume of crude exports from Lithuania to Latvia was between 480,000 and 941,000 tons per year. 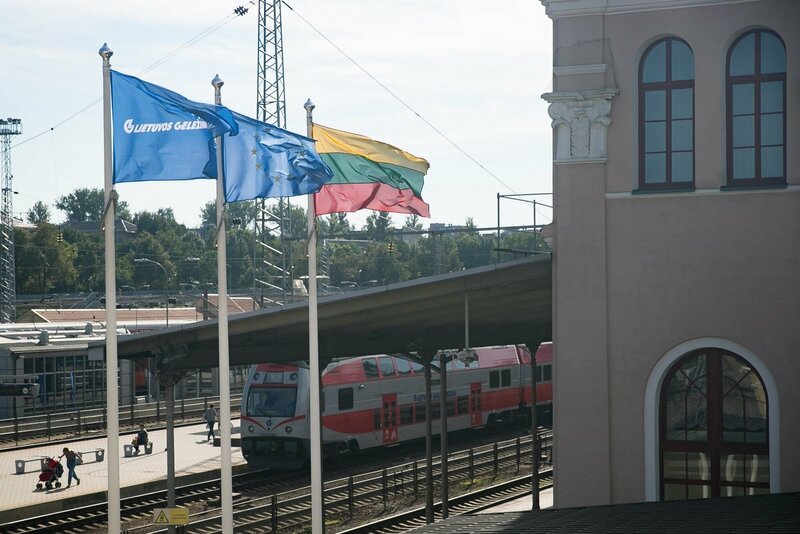 Last year, 844,00 tons of oil products were delivered from Lithuania to Latvia by rail.